At the AGM on 14th October 2017, Anne Hughes was confirmed as our new Chairman, with Peter Wright standing down and Steve Slater remaining in the postion of Vice Chairman. Anne in the front seat of Steve Slater's Piper Cub. Like many involved in aviation, Anne’s first remembered encounter with aircraft was at the age three when she first saw her late uncle’s collection of model aircraft hanging from the ceiling of his room. A trip to Farnborough Air Show a few year’s later and the bug bit! However, it wasn’t until much later she had her first flight ever – in a Beagle Pup! A year later and now proudly wearing her wings, Anne flew Cherokees and Cessnas and many hours in the Pup. Sadly lack of finances meant a break with aviation and Anne focused on her teaching career, mainly teaching children with educational needs, working with the Youth Hostel Association and as field officer for the Duke of Edinburgh Award scheme. Later on, an opportunity to join the committee of the Beagle Pup and Bulldog Committee and a volunteer role in research at Duxford set the scene for opportunities as an aviation researcher, writer, editor and a “putter on” of aviation events. Somehow Anne found herself in the role of Events Coordinator for the VAC and took every opportunity to take a front seat in Steve’s J3 Cub, back seat in the Chipmunk and other seats that made themselves available! 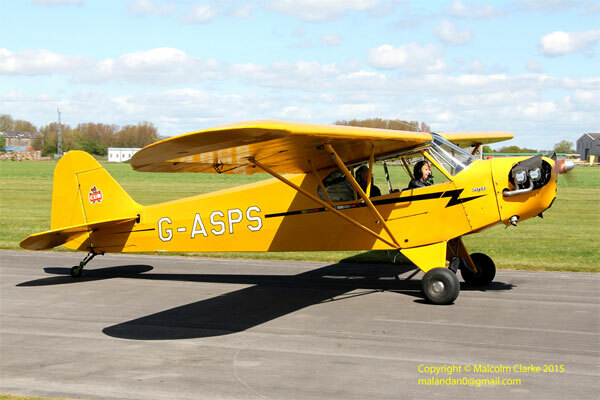 At this time she was involved in the Beagle Pup Prototype project with the aim of getting the Pup back to being airworthy after nearly 50 years in hangars and sheds! Getting to know the VAC aircraft and their owners opened up a much wider field of interest and it wasn’t long before she was to be found on a fabricing course dreaming of building an aircraft!